At the Regent Sports & Social Club, 102 Regent Road, Leicester, LE1 7DA. Regent Jazz is looking for someone to help with further promoting Regent Jazz. 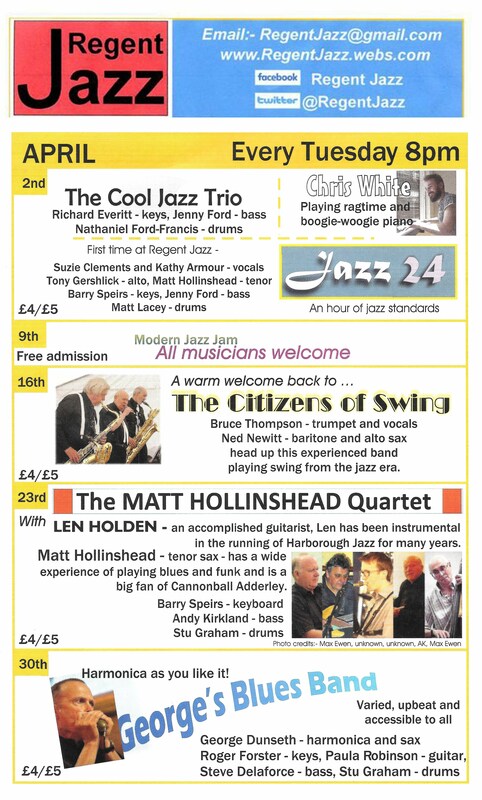 The April 9th Jazz Jam Session was free, and raising funds for LOROS Hospice, Leicester. One of our regular musicians is receiving care there. Everyone was amazingly generous and we raised £254.04! Thank you to all who came and supported the evening. We respect the privacy of all who have requested to join our mailing list. We do not make any information available to other persons or organisations. You can always request that we remove your details from our records.